The state-of-the-art LAMP LINE UV INTENSITY MONITORs are electro-optic instruments designed for continuous on-line UV lamp monitoring. With continuous monitoring, a UV lamp's relative UV output is used to verify ongoing lamp performance. In each system, the LampLine UV Sensors (sold separately) are mounted permanently looking at the UV source. With any LampLine monitoring system, the principle is the same. After installation, the user calibrates their system(s). When the lamp(s) are new and the irradiator(s) are clean, each monitor is set to 100%. The user then determines a Lower Limit percentage for the alarms and sets those. As a lamp degrades over time, the signal from the sensor is translated into a percentage of your original intensity setting as calibrated. 4-Channel UV Monitoring System is an electro-optic instrument designed to monitor several UV lamps (up to four) simultaneously and sound an alarm when any of the lamps falls below a user-settable threshold. Any lamp output can be switch selected and read, as a percentage of original output, on a front panel display. 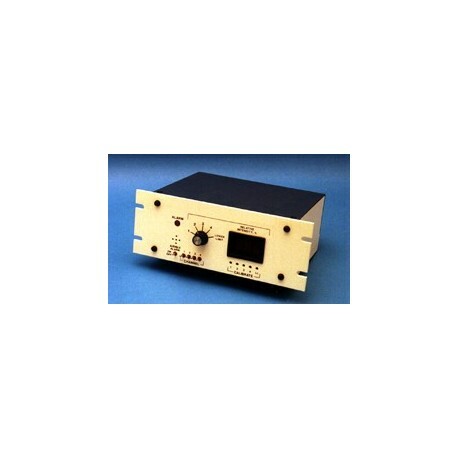 The system is comprised of two major components, a Signal Conditioner and the Signal Monitor Module, both contained in the same compact enclosure. It is cascadable, meaning more than 4 lamps may be monitored by adding additional Monitors. This online monitoring system can be retrofitted to existing machinery or incorporated directly into equipment design. Each small monitor can be front-panel mounted so that the percentage of original output displayed on its LED can be constantly viewed and assessed by the user. The intent of this on-line system is to be able to monitor a multitude of lamps by snapping individual modules onto a rail which is normally mounted in the rear or side of the equipment. 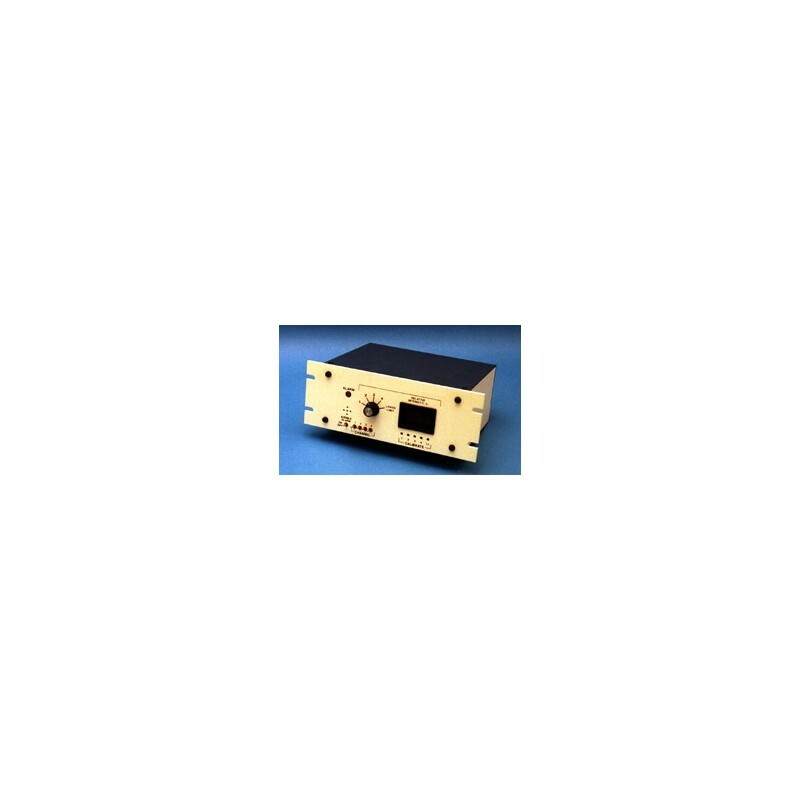 This system is available for use in integrated monitoring and control systems containing analog signal processing and shared display capability. DIN Modules do NOT have a display. Each rail mounted module allows for monitoring of a single UV lamp. The sensors work with mercury vapor, electrodeless, deuterium, or any lamps which produce UV light. Sensors are ordered individually and are available in 250-260nm, 280-320nm, 320-390nm, or 395-445nm spectral responses. Lamp On detector indicates UV system is powered and lamp is running. Each sensor comes with a 10' cable (custom lengths are available).